Designed to work with the growing number of 2x10 drivetrains, the 2x is equipped with MRP's integrated skid chainring protection and a dual pulley tensioning system that ensures the chain is properly tensioned. It also reduces drag and noise while keeping weight low by eliminating the need for a full bash ring. I still run a 2x up front (old habits die hard) but i have chain drop issues on really rocky trails. 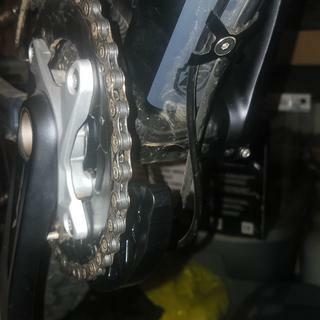 Since I have installed this guide I have not dropped my chain once. Instalation was a breeze because of the ISCG mounts. I don't feel any extra drag on the chain while pedalling either. Installation was straight forward on my Repack and did not require any additional adjusting. Works great. Make sure you pick the right model for your bike (05 for newer bikes). Works awesome on 2 rings. Ridden with this bash guard a couple of times and has definitely help me get over some large logs and rocks without destroying my big ring. Should have bought this sooner! This takes a bit of tweaking to get it dialed in. 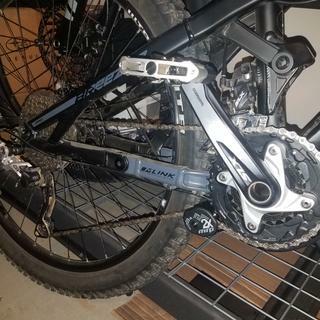 I followed the instructions for the placement of the shims for my bike and the crank bolts rubbed, so I changed the shims and the rubbing stopped but the pulleys were slightly off. Changed the shims there and now it works great. None of this is hard, just take a bit of time if the recommended shim locations are not exact for your bike. Look for the aluminum version, unless you want some extra weight on your bike, and don't mind a rusting component. bash guard is a nice feature, protects chainring. I forced this to work on a Giant Stance 0 using a third party ISCG-05 clamp adapter. Due to the Stance's BB, tolerances are wicked tight. 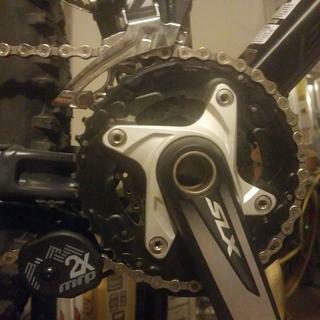 Took some adjustment, including switching around spacers in the dual pulleys in order to get better alignment with my inner chainring. That's not MRP's fault. If I had tabs, it would have been a 10 minute install. At any rate, I got it on and once I got it tuned, it now works perfectly, no matter how much abuse I have been dishing out. I have an INTENSE Tracer 2016 with 38 -24 ring gears can this MRP STEEL 2X CHAIN RETENTION SYSTEM work on it ? BEST ANSWER: I had it on a 36 - 24, but i'm not positive about the 38. I do think it will work. I have heavily modified mine for my application. Check photos on my review. It works on my SLX shimano 38-24T.